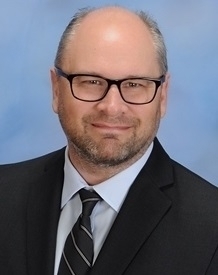 As Executive Director, Keith Klain is responsible for Tekmark’s Software Quality Management practice which provides test management and execution, test automation, process improvement, training, and consulting services to our clients. For the last 20 years, Keith has built and managed enterprise testing teams for global financial services and IT consulting firms in the US, UK, and Asia Pacific. Previously, Keith ran the Global Test Center for Barclays Investment Bank and Wealth Management and was the Head of Quality Assurance for the Equities business at UBS Investment Bank. Keith has written and spoken extensively about Software Quality Management, Software Testing, Context-Driven Testing, and Test Process Improvement and is very active in the international software testing community. Prior to joining Tekmark, Keith created the Software Testing Education Program with the Bronx based non-profit, Per Scholas, which has graduated 150+ students from diverse backgrounds into jobs in technology. In 2016 he received a Certificate of Merit Award from Bronx Borough President, Ruben Diaz Jr., for his accomplishments, contributions and commitment to the communities of the Bronx. He was the Executive Vice President of the Association for Software Testing and the recipient of the 2013 Software Test Professionals Luminary award.